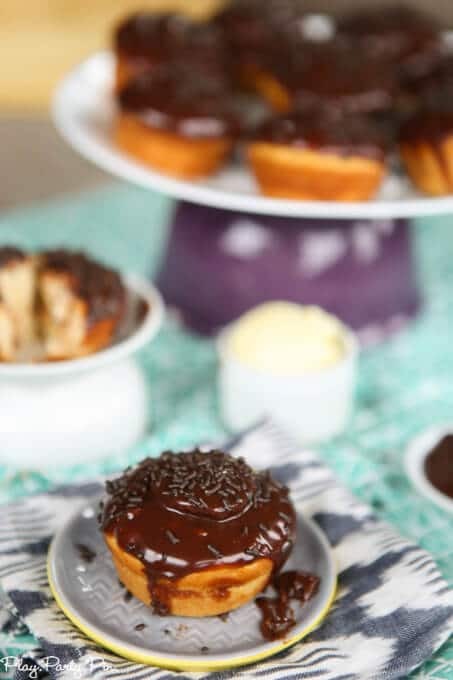 This Boston Cream Pie Cupcakes recipe is a quick and easy dessert that will have everyone impressed! I love Boston cream anything. 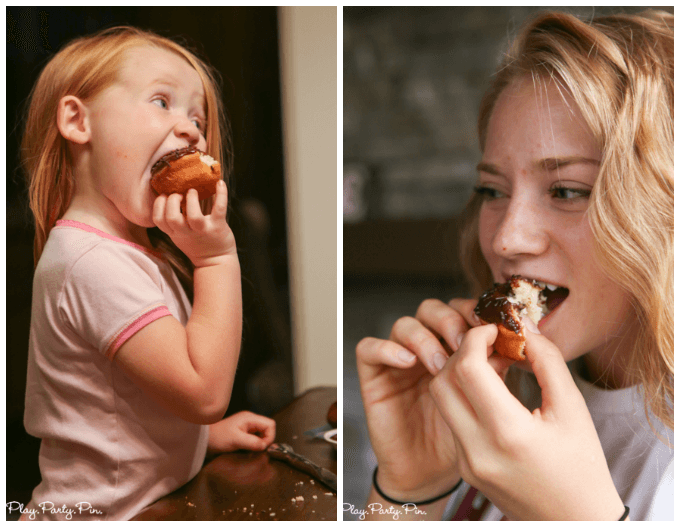 Boston cream pie, Boston cream donuts, Boston cream you name it and I love it. 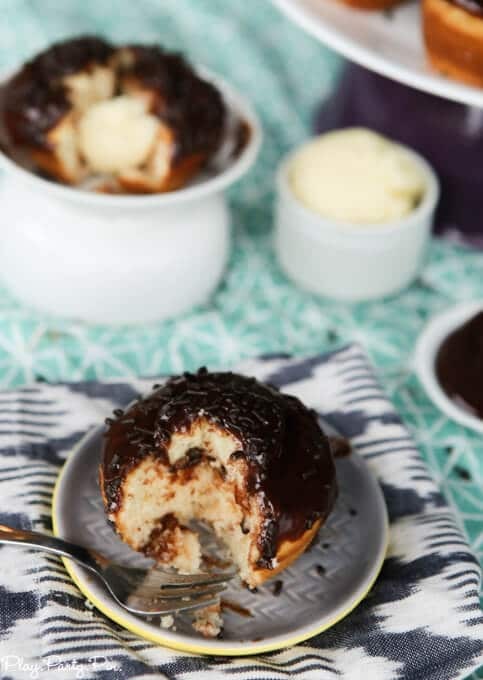 There’s just something about the combination of the cake, custard filling, and chocolate on top that gets me every time. While I was in Kansas a couple of weeks ago, my little sister wanted to show off the baking skills she acquired in her cooking classes at school this semester, so I being a Boston cream lover, convinced her that we should try making Boston Cream cupcakes. And they were delicious. And easy. And devoured by everyone. I kind of wish we’d made two batches. 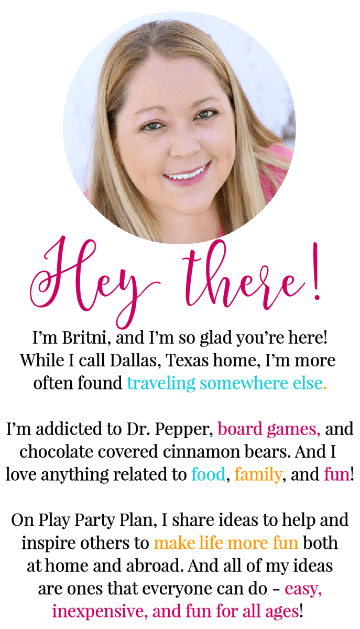 I started off the cupcakes with a Pillsbury Purely Simple cake mix that I picked up at Target using this Target Cartwheel coupon for 25% off of Pillsbury Purely Simple cake mixes while supplies last! 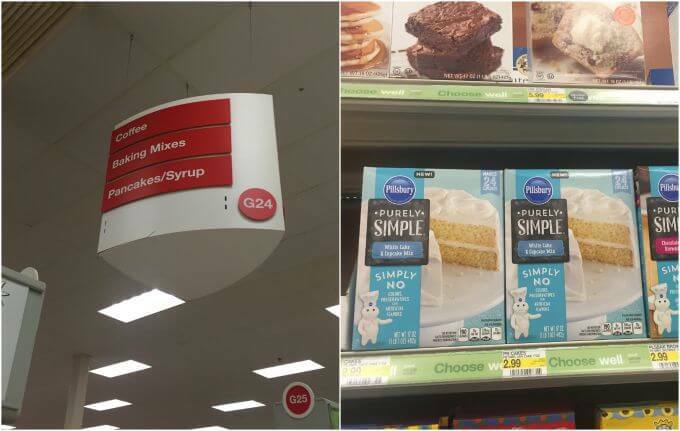 The Pillsbury Purely Simple cake mixes and frostings are brand new to Target and great because they’re made without any dyes, preservatives, or artificial flavors while still tasting delicious. I used the cake mix for my cupcakes and the frosting for a simple chocolate ganache to top them off. The first step to these cupcakes is to bake your cupcakes according to the directions on the back of the Pillsbury Purely Simple package. I typically like to fill the muffin tins about 3/4 of the way full so that they’re not overflowing and easier to fill. 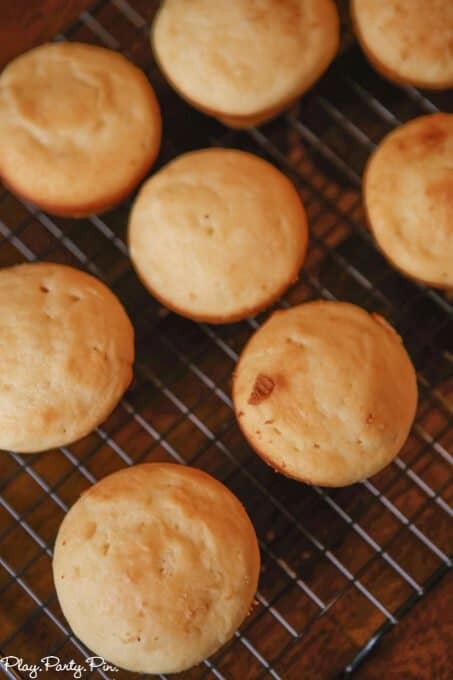 After the cupcakes are baked, let them cool before trying to fill or frost them. While your cupcakes are baking, make the pastry cream to go inside. I used a basic pastry cream recipe and substituted almond extract for the vanilla because I tend to like the flavor of almond better. Once your pastry cream is done, put it into a plastic bag and put into the fridge to let it set up while you’re waiting for the cupcakes to cool. And now comes the fun part. 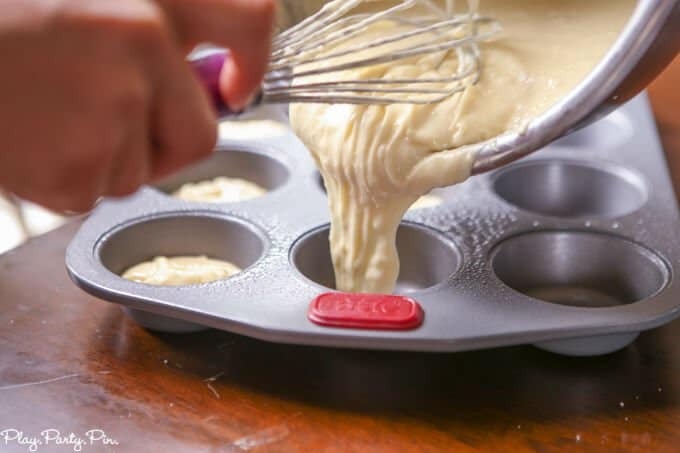 Once your cupcakes have cooled, use a spoon or corer or something to take out a small section in the middle of the cupcakes, making sure to keep the section you removed because you’ll be putting it back in. Pipe some of the pastry cream from the plastic bag into the hole that you just made in the cupcake (only about 2/3 of the way full) and then replace the top of the cupcake so you have cream filled cupcakes. 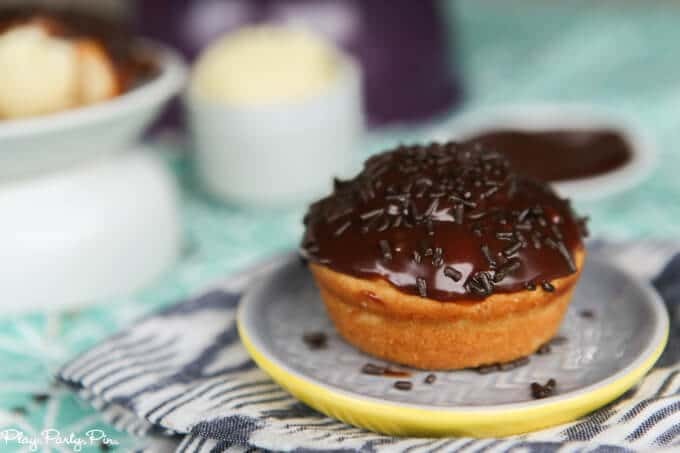 After your cupcakes are filled, make your chocolate ganache to top your cupcakes. I actually started with the Pillsbury Purely Simple chocolate frosting mix that I picked up at Target and just added about 1/4 cup milk to give it more of that ganache look, but you could just stick with using the frosting by itself if you’d prefer. Once your ganache is complete, dip your cupcakes into it, covering the entire top portion. If your ganache was a little thin like mine, the chocolate may run down the sides but don’t worry, it tastes great that way. And if your ganache is thicker, it may just stay on the top; it tastes great that way too. And last but not least, enjoy your cupcakes. I know we did. And you’d better believe this recipe is going into the make again desserts folder with striped delight. 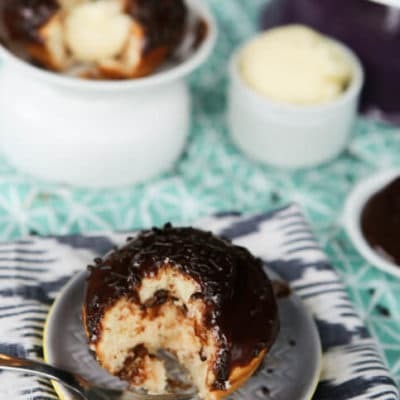 You can find more amazing recipes to make using Pillsbury Purely Simple cake mixes and frostings by following Pillsbury on Facebook, Twitter, Pinterest, Instagram, or YouTube. 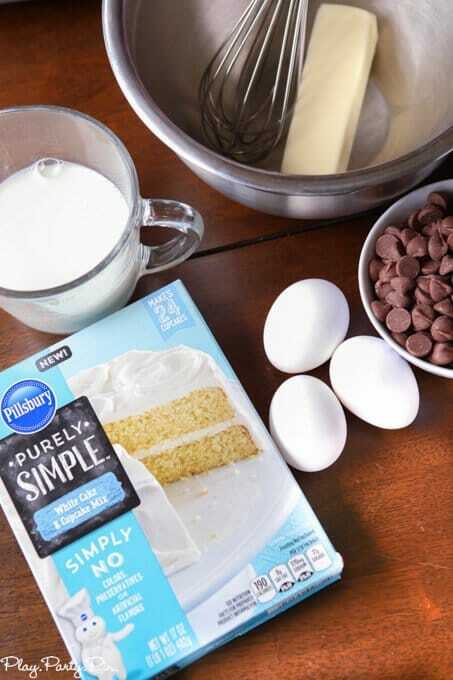 Make cupcakes according to the directions on the Pillsbury Purely Simple Cake Mix package. Make Boston Cream pie cupcake filling using recipe at www.playpartyplan.com. Put cream into plastic bag and cut off tip to make a piping bag. Use a pineapple corer or spoon to dig out the middle of each cupcake (once cooled). 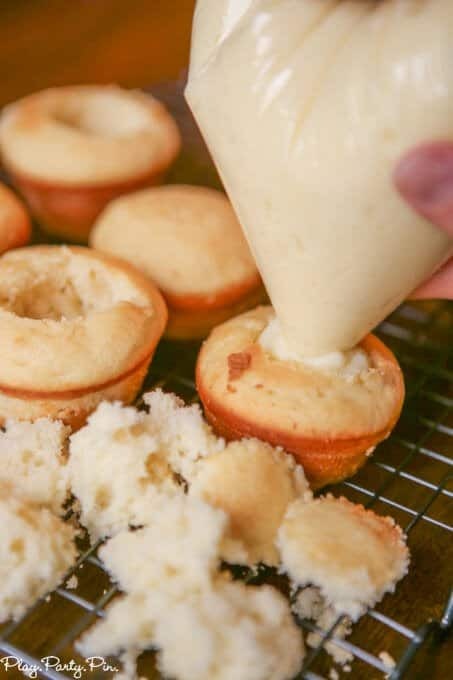 Fill each cupcake with cream and replace the very top portion of the cupcake you dug out from each (don't add back in the entire thing as there will not be room). 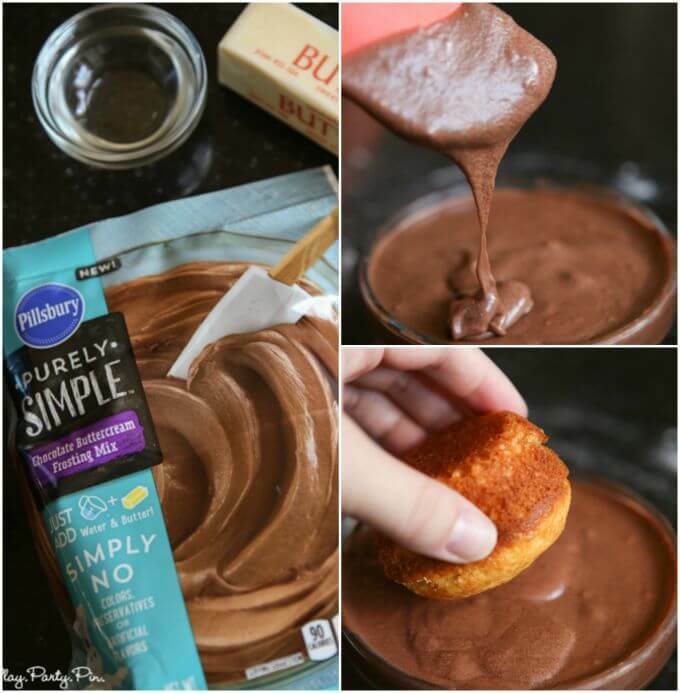 Make frosting according to the directions on the Pillsbury Purely Simple Chocolate Buttercream Frosting Mix package. Add 1/4 cup milk to buttercream frosting and mix until well combined. 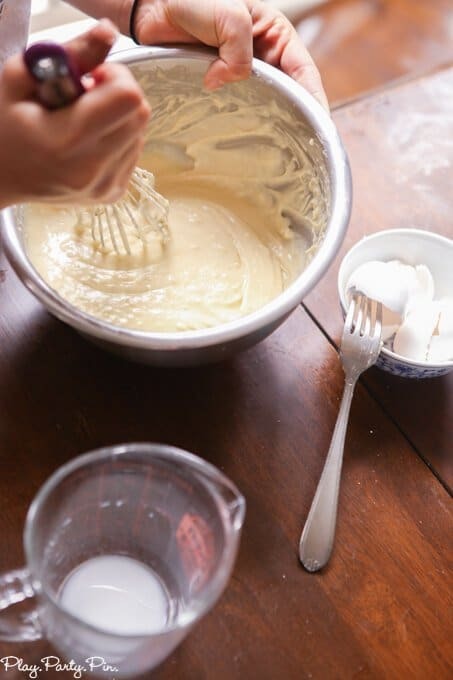 Mixture should be thinner than the buttercream. Once cupcakes are completely cooled, dip the top of each cupcake in the chocolate mixture to top your cupcakes. 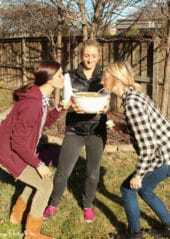 Stir together milk and 1/4 cup sugar in large pot over medium heat until mixture comes to a boil. In a medium bowl, whisk together the egg and egg yolks. 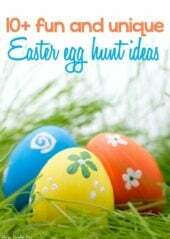 In another small bowl, stir together the 1/3 cup sugar and cornstarch then add to the eggs and mix until smooth. When the milk comes to a boil, pour it into the egg bowl slowly while mixing constantly so that you do not cook the eggs. Return the mixture to the pot and slowly bring to a boil, stirring constantly so the eggs don't burn. When the mixture comes to a boil allow it to thicken slightly then remove from the heat. Stir in the butter and almond extract until well combined. Line heat-safe container with a piece of plastic wrap then pour mixture into container. Cover with another piece of plastic wrap then refrigerate until chilled before using. 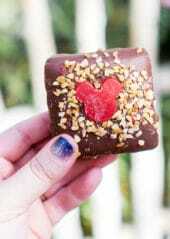 Oh my gosh, these look amazing! Can I fly to your house and have one please!? Thanks for sharing. This is a no-fuss recipe and crowd pleaser. HUGE fan of boston cream desserts myself, LOVE these cupcakes! I looove Boston cream pie too (I mean, who doesnt? ), and these cupcakes sound like a delicious mini version! 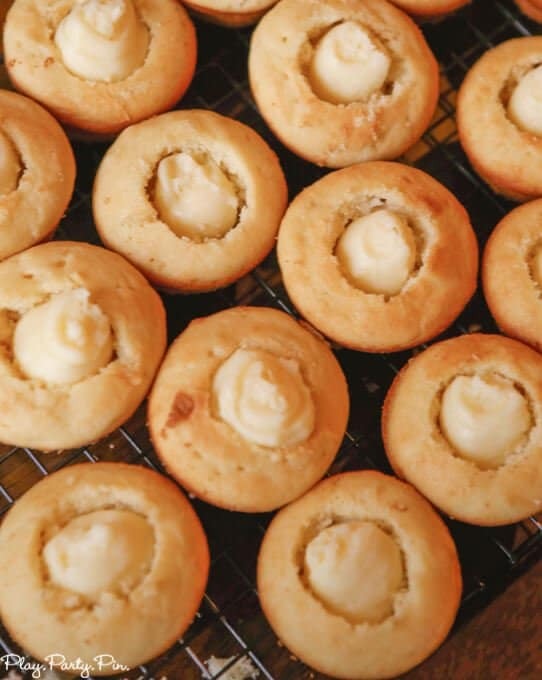 Definitely planning on making these for the holidays, thanks so much for the recipe!